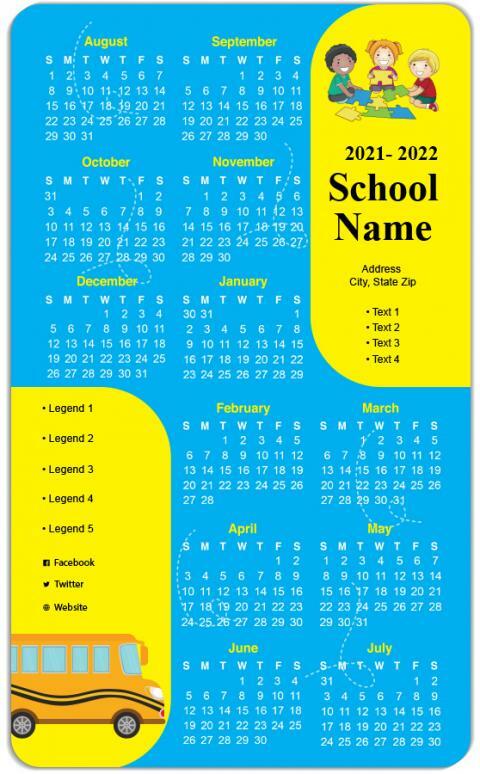 A 3.5 x 6 custom printed school calendar magnet can be employed by school authorities and other study institutions for promoting their brand names. Advertisers can always hand over these magnets during school fairs, parent’s teachers meetings, annual day celebrations, sports meetings, etc. This calendar magnet offers visibility to brand information and influences mindset of parents, teachers and students. This means it becomes a silent and effective brand promoter by its own.